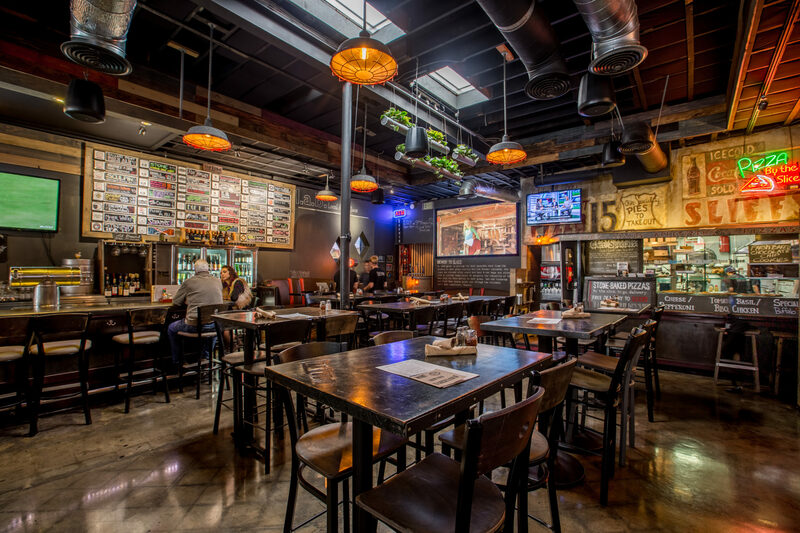 TapRoom is a top San Diego Craft Beer Bar founded in the early years of the San Diego Craft Beer Revolution. With a focus on local craft beer, great food & local hospitality, TapRoom has established itself over the years as a local favorite and one of San Diego’s top craft beer bars. Located just 5 blocks from the beach in beautiful Pacific Beach, you can enjoy some world class beer before or after you soak in the rays. Large groups welcome as well as you solo peeps looking to grab a beer & some grub. Our patio is dog friendly as well, woof woof. Last but not least, we offer our full menu for delivery, so give us a call and we’ll come to you. We look forward to showing you a great time, Cheers!! We have a “Brewery to Glass” philosophy when it comes to beer, meaning we make sure every drop of beer that we purvey is of the same quality & freshness of the brewery that created it. In order ensure this, we have a standards that we adhere to religiously including cleaning our beer lines after every new beer (or sooner), storing our kegs cold from the second they are dropped off, and never letting our beer come in contact with anything other than 305 stainless steel, ultra clean beer lines, & your glass. We use a high temp glass washer for all of our glasses ensuring they never come in contact with any detergents that could effect the taste of the beer. Come and taste the difference, and let our cicerone certified beer ninjas guide you through the ultimate craft beer experience. Cheers! click here Are Kids Allowed? Yes, we are primarily a restaurant that focuses on craft beer in a family friendly environment. Can we bring in our own bottle of wine or beer? Yes, we do however charge a $10 corkage fee. Yes, we have a dog friendly patio and even have a dog menu! Yes, we have 11 tv’s and a 10′ projector and subscribe to all the major sports channels.